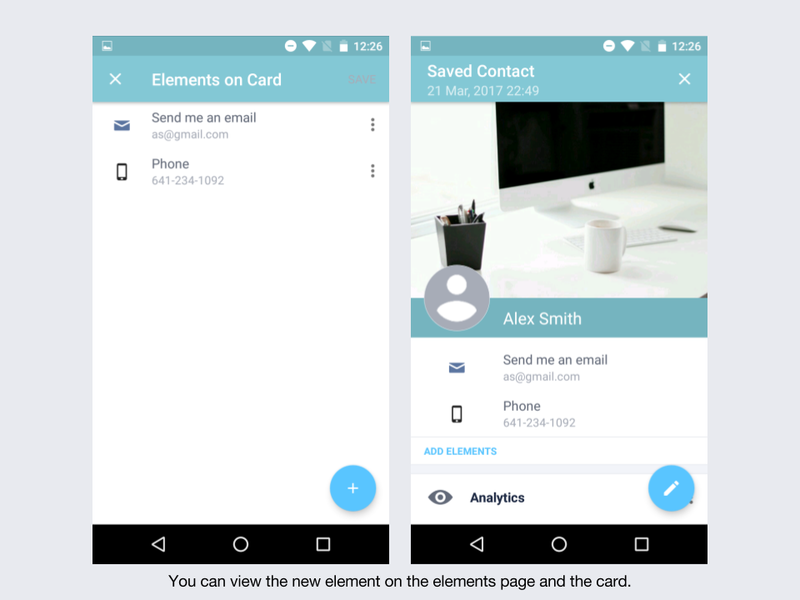 Editing a contact allows you to change their background image, card color, add elements, and edit their contact info. When you create a new contact, Inigo automatically fills out an Inigo card that stores this information. You can share, save, and comment on this card, so it is a good idea to fill it with thorough information. 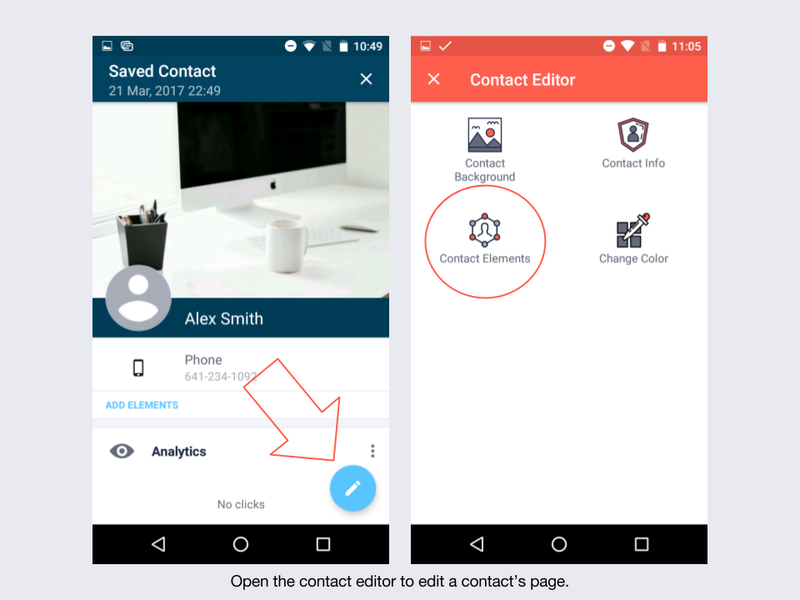 To add elements to a contact, open the contact editor page, and click "contact elements." This page will show you contacts that are currently on the page. To add new elements click the add button in the bottom right-hand corner. 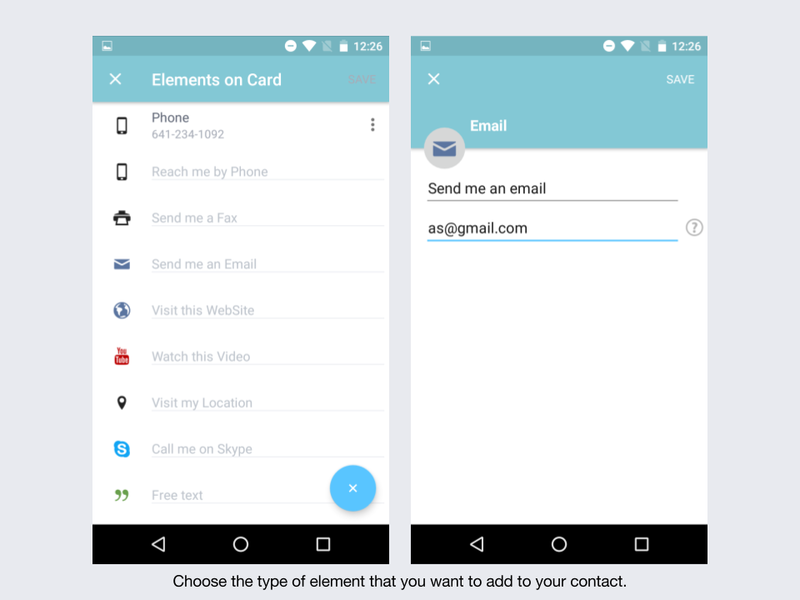 This page will show you all of the types of elements that you may add to a contact. They are the same elements possible when editing your own Inigo card. To add a new element, choose the element and fill out the text fields. Click save to return to the main element's page. 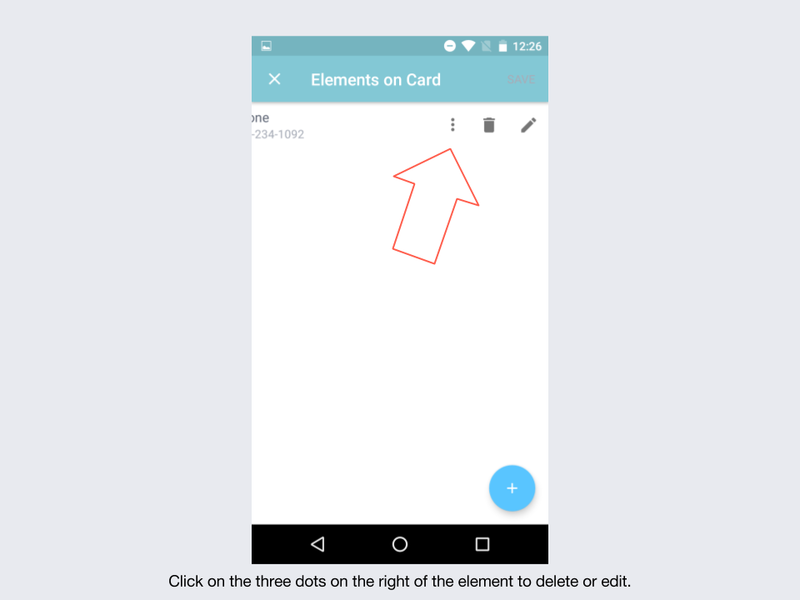 Just like when editing your own Inigo card, you may delete an element by clicking the three dots to the right of that element. You will see the options to edit the element or delete it. 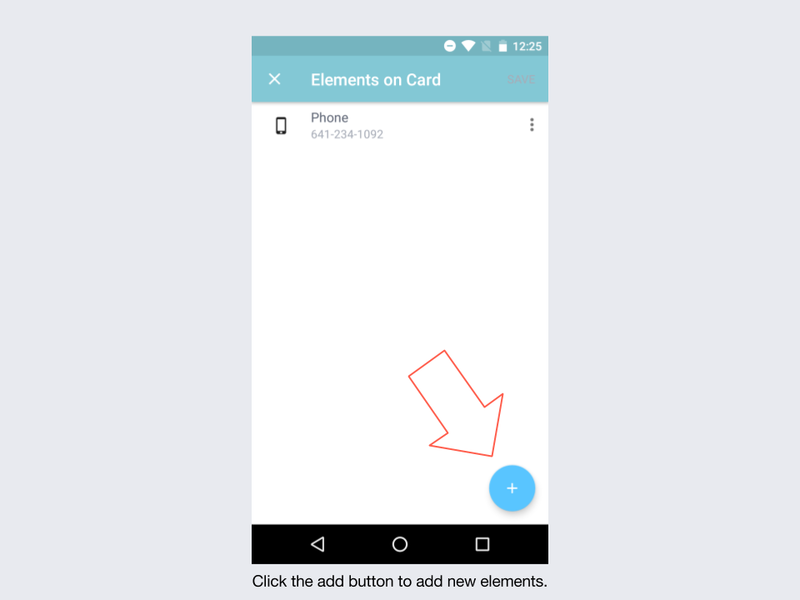 TIP: To move an element, press and hold on the element until you feel your phone vibrate. At this time, you can move the element up or down on the list.